Did you see your wardrobe inspiration at this years London Fashion Week? Or are you preparing for 2015’s motorcycle season? Either way, don’t waste your time and money replacing your leathers when you could just give SJS a call. 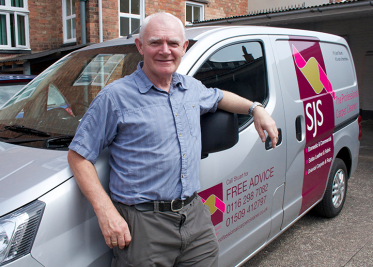 SJS professional carpet cleaners visit businesses and residents throughout Leicestershire and the surrounding areas, providing expert leather cleaning and restoration services. We take great pride in returning your leathers to their former glory through a simple clean, polish and protect process. This process maintains the quality and longevity of all your leather possessions… Including sofa suites! So if your motorcycle gear is worn, your handbag has became tatty or your sofa no longer oozes sophistication, we’re more than happy to visit your home to clean your leathers. Don’t hesitate to call SJS for a no obligation visit and free quotation.